SEO is something of a passion of ours, so we feel it’s time to give some discussion to some of the more neglected areas of SEO knowledge. When anyone thinks of the term “SEO”, it’s going to be immediately followed by thoughts of keywords. That’s all well and good, but it’s time that we brought ideas of links and usability into the light. First off, if you’re already lost, here’s some best practices, a crash course, and some tips that will help you get an understanding of SEO before you dive into this post. If there’s one part of car dealer SEO that most people don’t understand, it’s probably what we call the “ecosystem of links.” That’s how dealer website SEO is influenced by the vast web of links that connects one webpage to dozens (if not hundreds of thousands) of others. It’s actually not all that complex, but it’s often explained poorly. There are a lot of SEO agencies and “experts” out there who like to keep this subject annoyingly complicated, because it’s also one of the most abused elements of automotive SEO. Frankly, we think that’s BS, so we’re here to help clear everything up. Pretty simple. Keywords = relevancy. And if keywords are about relevancy, links are about popularity. In SEO, everyone wants to be popular. The more pages link to “Doug’s Ultra-Premium All-Beef Dog Food,” the higher Doug’s page will rank. Wikipedia, for example, is often the top result for any search term that could possibly be in an encyclopedia. Over the years, Wikipedia has proven itself a trustworthy website. Hundreds of thousands of other websites link to Wikipedia when they cite information from its articles. That’s a good signal to search engines – it means that Wikipedia is widely respected and utilized. The same goes for your site. The more places your links appear, the more trustworthy and popular your site will be to search engines. Well, of course, it’s more complex than that. Not all links are created equal. We’ll discuss three types of links: editorial links, outreach links, and non-editorial links. The first, editorial links, are from other website owners linking to your site as a source for relevant information. These are highly valuable, but not very common for dealers to get. Producing content – posts about community events, traffic changes, automotive happenings, and charity specials or fundraisers, might help you get links like this. You can’t buy or beg for these types of links – they just happen because you produce good content or have a useful, helpful website. Outreach links are “solicited” links, meaning that you (or your SEO partner), asked someone to link to your site. These include bloggers, directories, or other sites that were paid (or given some value proposition) to include a link to your site on theirs. These aren’t extremely easy to get, and aren’t rated as highly as editorial links, but well-placed ones can be pretty valuable. Make sure that the people and sites you are requesting links from are relevant to your business and community, and influential as well. 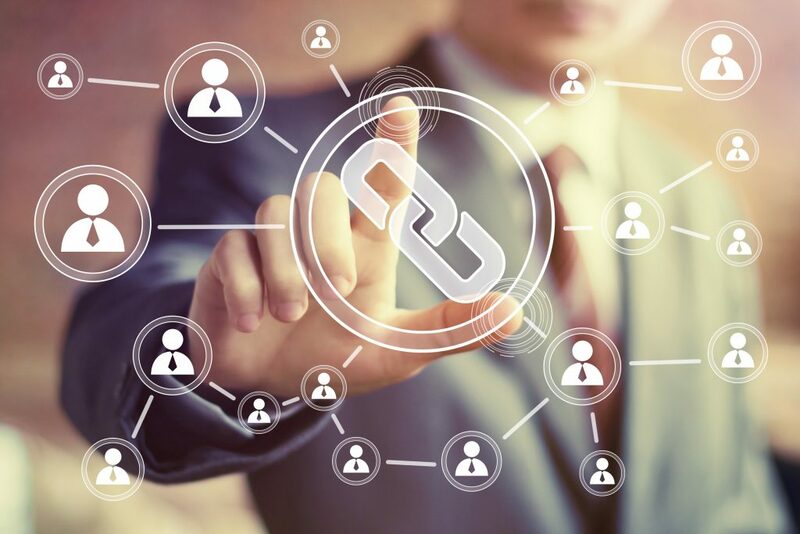 Non-editorial links are tricky, but they’re also one of the easiest ways dealers can help themselves when it comes to SEO. On one hand, claiming your business on Google My Business, making sure you have a Facebook page, and keeping tabs on your Yelp page are all good places to start if you want to make sure your links are distributed better. You can also make sure your website is listed in reputable directory sites like Yellow Pages, as well as your local community business sites and Chamber of Commerce site. On the other hand, you have to be careful. These are considered “self-made” links, and they don’t count for much in the eyes of search engines. These types of links are often associated with “black hat” tactics – basically, cheating and spamming. And again, search engines aren’t easily tricked. There are many services that will throw links to your site all over the web – artificially amplifying the “popularity” of your site. But much like in high school, popularity comes easily to some and never to others, and can’t be forced. Search engines can see through these, and it can easily count against your site ranking. The web is an ecosystem of links, all interconnected, and the more sites connect to yours, the more important it is to that ecosystem, and thus the more search engines will notice it. But don’t worry too much if your site isn’t as popular as Wikipedia, few sites are. Now, we just talked about one of the most confusing topics within SEO, but what we’d like to close this post out with is one of the least-talked about topics in SEO. It breaks our hearts, but a scant few people talk about SEO and usability, when in reality, it’s hands-down one of the most important elements of SEO. When it comes to SEO, tricks aren’t going to get a webpage anywhere. A webpage is the bridge that forms a connection between you and your users. It’s a relationship. And just like a relationship, if it’s fake and full of cheating, it’s not going to work. Stuffing your website with keywords, buying cheap links, and trying to cheat your way to the #1 spot doesn’t work. Search engines can spot you a mile away, and will not only fail to promote you for this behavior, but will actively suppress you in the rankings. At the risk of bragging a little bit, at Jazel we are obsessed with Customer Experience, we know SEO, and we take pride in our work and our industry. Seeing sites that use manipulative SEO tactics is a real bummer. It annoys consumers, hurts businesses, and undermines the trustworthiness of the web. Stick with good, honest SEO, and make sure your website is actually helpful, well-built, and good for the customer. If you meet these requirements, traffic will follow.